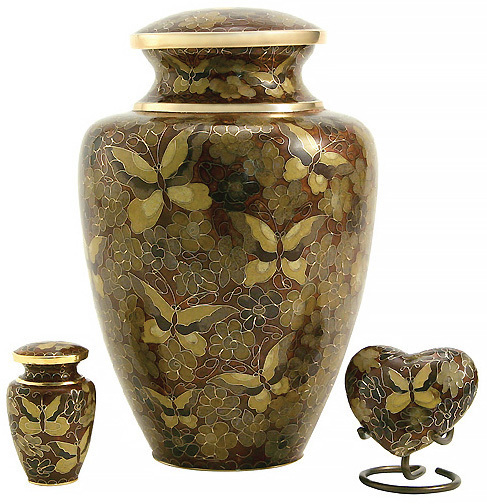 The Golden Butterfly Cloisonne Urn is a work of art that is hand-crafted using an intricate and ancient metalworking process with multiple layers of fired enamel over copper or brass. This urn is absolutely stunning and is a wonderful tribute to the lover of butterflies or nature. Because each urn is hand-made, the design and color will vary a bit from urn to urn, making every urn an individual work of art. This urn loads easily through the top, which is secured with a threaded lid.